Abstract: Even though LED lighting is a very efficient outdoor lighting solution, whether phosphor-coated, high correlated color temperature (CCT) white LEDs are desirable light sources for roadway lighting remains to be evaluated. Street lighting is designed to illuminate roadways, streets and adjacent areas to enhance safety for drivers and pedestrians. Legacy street lighting systems typically use high pressure discharge lamps, in most cases high pressure sodium (HPS) and metal halide lamps. These light sources used to be recognized to give the highest amount of lighting per watt of electricity used. As natural resources and energy will be depleted eventually, it gets to be important to save fossil energy and develop new everlasting energy. Because of this, people throughout the world are making efforts in this direction for public constructions. The demand for energy-efficient LED lighting is driven by energy efficiency and various other factors including enhanced product life, lower maintenance costs, and reduced environmental impact. There's a widespread application of outdoor lighting that incorporates cool white CCT (correlated color temperatures) light sources because of the ignorant preference in the perceived feel of "cooler" or "whiter". In countries with low latitudes the climate is hot and people prefer lights with high color temperatures which bring them a cool feel. The dominance of fluorescent lamps in the past few decades has made some people accustomed to the cool whiteness of lighting. They believe "whiter" the light "clearer" the visibility. However, in the era of LED lighting should people still make their choices based on how they feel? Never again! 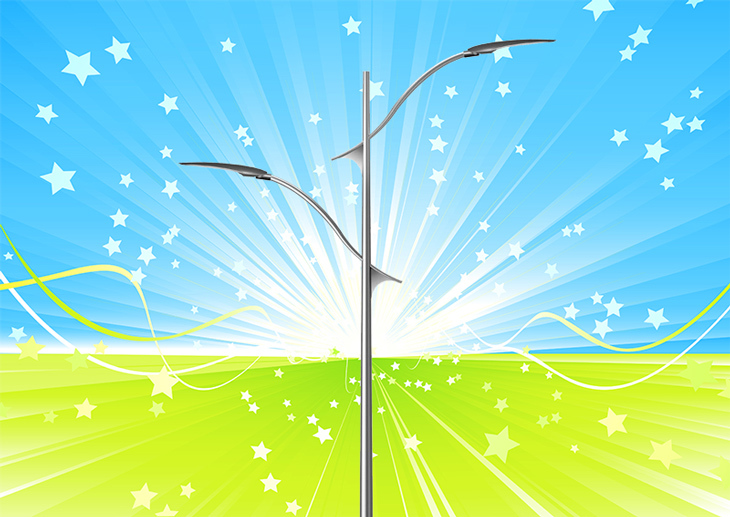 On June 14, 2016 the American Medical Association (AMA) released an official policy statement about street lighting. They expressed serious concerns on the detrimental effects of high-intensity LED lighting. The new AMA guidance calls for proper attention to optimal design and engineering features when switching to LED lighting that mitigates detrimental health and environmental effects. They specifically point out that the blue-rich LED lighting can decrease visual acuity and safety, leading to concerns and creating a road hazard. White LED streetlights are currently being promoted to cities and towns all over the world in the name of energy efficiency and long term cost savings. CCT between 4000K and 6500K has been the choice for many countries that have recently retrofitted their street lighting from HPS to LED. However, 29% of the spectrum of 4000K LED lighting is emitted as blue light, which the human eye perceives as a harsh white color. Apart from its impact on drivers, blue-rich LED street lights operate at a wavelength that most negatively suppresses melatonin during night. White LED lamps have 5 times more impact on circadian sleep rhythms than conventional street lamps. Color Temperatures (CCT) in Product Labeling: Which Is Appropriate?